This is the 2015 Distillers Edition and it is finished in Moscatel wine casks. Light sweet peat in the smell. Very gentle on the nose. Very sweet actually. Dried apricots, fresh peaches and peachy sweetness. More peat in the taste, but still very sweet. Still the fresh fruit sweetness, but mixed with some sugary dessert-like sweetness. The finish is sweet as well, with warm peat. It is medium to long. Some ashes is also present in the background. Like most Distillers Edition´s, this is very enjoyable. 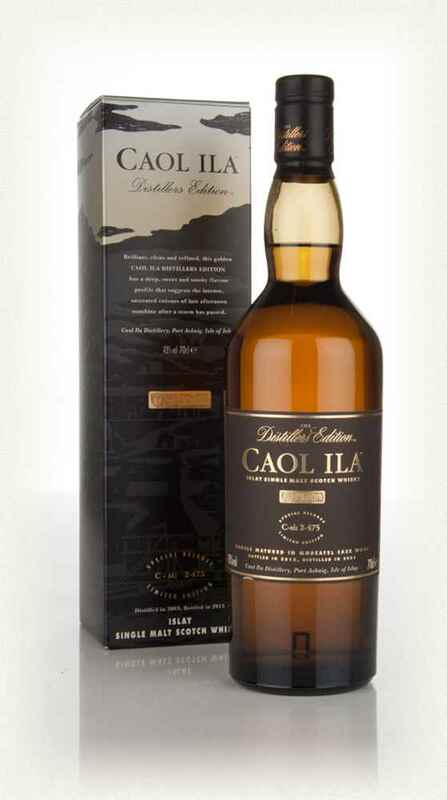 Classic Caol Ila, but with a fun, and suitable, sweet touch. Yet it holds its Islay character. I can only dream about how this would be at cask strength! I will give this 86/100 (21/22/22/21).